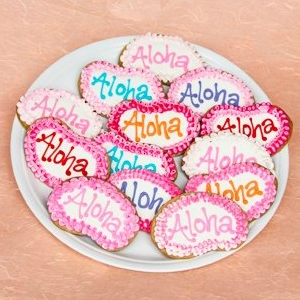 Hokulani's hand decorated cookies are a sweet treat for the young and old, local and visitor! Come by and visit us to see what we already have in-stock for immediate purchase! Shapes and designs may vary weekly and will depend on the season/holiday. Below are some samples of past works. Need something SPECIFIC or need lots of something we already do? 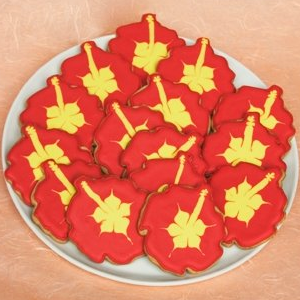 Give us at least 14-21 days notice and we can help create a special cookie for your occasion! Email us DIRECTLY, info@hokulanibakeshop.com with sample images of what your design should look like. Please include any color/writing requests (along with color changes, if applicable). 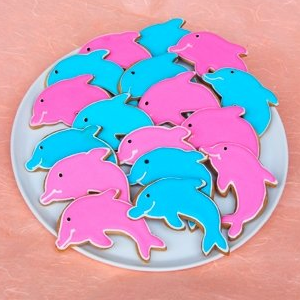 .Pricing will vary depending on cookie size and difficulty of design (number of colors, detailing, etc.) Most cookies start at $4.25 each. 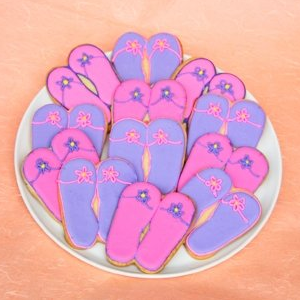 For complicated and hard to duplicate by hand decorating, we suggest edible images. Edible images must be ready-to-use and in file formats of .jpg or .gif. We are not graphic designers so any edits to the image itself will need to be made by the customer.
. 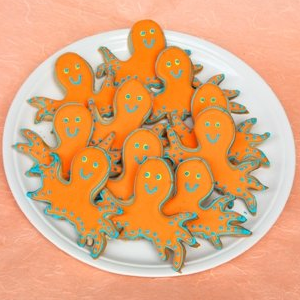 Minimum 12 cookies for all custom orders. All cookies come individually packaged unless otherwise requested.